Read the Citroen C6 saloon (2006 - 2012) car review by Auto Trader's motoring experts, covering price, specification, running costs, practicality, safety and how it drives. The Citroen C6 offers opulent ride comfort in an individual package. If you want an executive car that stands out in the crowd, the C6 is for you. Reasonable diesel with top-of-the-range equipment. Interested in buying a Citroen C6? Citroen C6 is one of the most original looking executive saloons on sale today. It blends genuine Gallic style, with a form that combines a modernist look with a retro feel. The C6’s appearance turns every short journey into an occasion; partly thanks to the car’s rarity. The front wears Citroen’s trademark double chevron grille and has a pair of small headlamps either side. The long bonnet gives way to a long, sleek roofline, which drops into an altogether curvier rear. The bootlid has a spoiler which pops up at speed, and the boomerang-shaped rear lights are worth a particular mention. The Citroen C6’s interior is an example design excellence – even if lighter trims are prone to showing grubby marks. The driver has simple LCD dials in front of the large steering wheel, and a head-up display which beams basic information into the windscreen. A large screen in the centre of the dashboard provides information on the navigation, audio and heater controls. The centre console has too many buttons for ease of use, and is among the only marks against an otherwise brilliant interior. Even the slide-down lids for the door bins impress, blending wood with chrome to excellent effect. The Citroen C6 has an excellent amount of cabin space, although rear passengers may find the car’s sloping roofline reduces headroom. The boot’s usefulness belies its 488-litre dimensions. Access is restricted by the concave rear screen which creates a semi-circular shaped bootlid. The C6 comes with park sensors – which also has a visual element in the car’s screen – and is necessary due to its size, and the way the bodywork slopes away on its corners. The C6 offers stunning ride comfort at speed, where it is also wonderfully refined; even when specified with a diesel engine. Its low speed ride isn’t quite as good, although still better than most of its rivals. Undulations on A-roads and motorways are dealt with through the C6’s soft hydraulic ‘Hydractive’ suspension. This allows the car’s suspension to raise and lower at the touch of a button, or activate the ‘Sport’ mode. The steering is light, but lacks much feedback. The C6 is a car that refuses to be hustled at speed, preferring to waft along at a moderate pace. The cheapest C6 is priced over £28,000, and the range-topper we tested tips the scales at almost £35,000, which pitches it against some impressive rivals. Citroen is known for its discounts, so don’t expect to pay these prices. The C6 will shed around two thirds of its value over the first three years/36,000 miles. Insurance groups start at 15, but shouldn’t be too costly for the typical buyer. Road tax will be high, with the 2.2-litre HDI being placed in tax band F, which currently costs £210 a year. The 2.7-litre HDI and 3-litre V6 both attract a £400 bill. Citroens don’t have the strongest reputation for reliability, although the C6 feels like a solid machine; if not matching German levels of build quality. However, we tested two C6s, and both suffered hydraulic fluid leaks, which rendered the power steering inoperable, and the car undrivable. We spoke to Citroen, which said these were “isolated” incidents, and pointed to improvements in customer satisfaction surveys and a reduction in the costs to the company to repair its models under warranty to back its claim. The Citroen C6 has been subject to six recalls to address issues including faults with the braking and fuel system. The Citroen C6 scored full marks for adult and pedestrian protection and dropping just one mark for child protection. All models a pop-up bonnet to deflect pedestrians away from the solid engine block, anti-lock brakes (ABS) with electronic brake force distribution (EBD) and emergency brake assist (EBA), electronic stability programme (ESP) and traction control; driver, passenger, driver’s knee, side and curtain airbags; whiplash-reducing active headrests and lane departure warning system. Three trim levels are available: C6, Lignage and Exclusive. C6 comes with 17-inch alloys, chrome interior trims, velour trim, dual zone air-con, cruise control, front and rear electric windows, three-way electric driver and passenger seats, multi-function screen and trip computer, automatic xenon headlamps, automatic wipers; electric, heated and folding door mirrors, dimming rear view mirror and a rear windscreen blind. 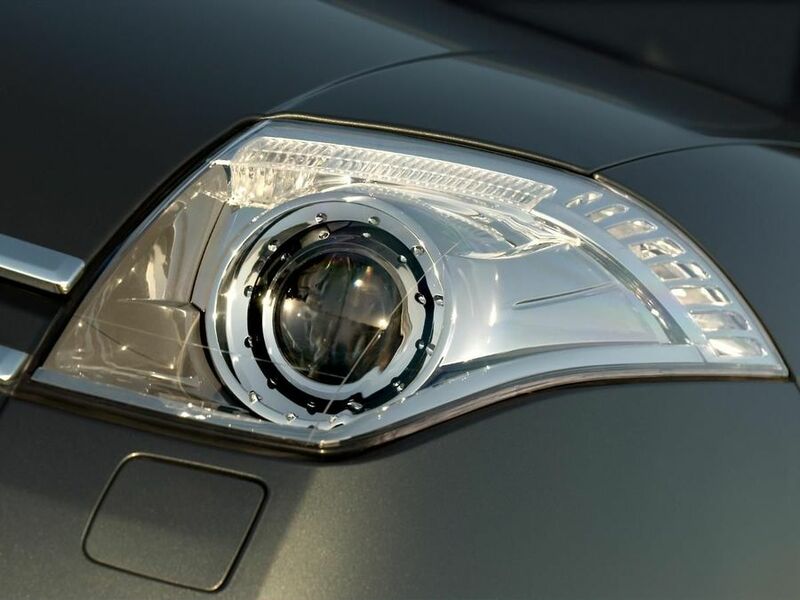 Lignage adds 18-inch alloys, half leather trim, head-up display, front and rear park sensors with audible and visual warnings, dimming door mirrors and headlamp washers. The range-topping Exclusive gets full leather trim, with heated front and rear seats. The Citroen C6 is the perfect car for those determined not to follow the norm. It can cut a dash alongside cars costing three or four times as much, thanks to its radical styling and wonderful ride comfort and refinement.